Talking to Restaurant India, Udit Bagga & Udit Bhasin, Partners, Cafe Out of The Box shares about their love for food biz. Being from the automobile background, Udit Bagga was looking for an evergreen business. The basic necessity, “Roti, Kapda, Makan” being constant, he thought of venturing into the hospitality business. He together with Udit Bhasin researched a lot about the hospitality market, buying out a franchise, expanding via franchise, etc. 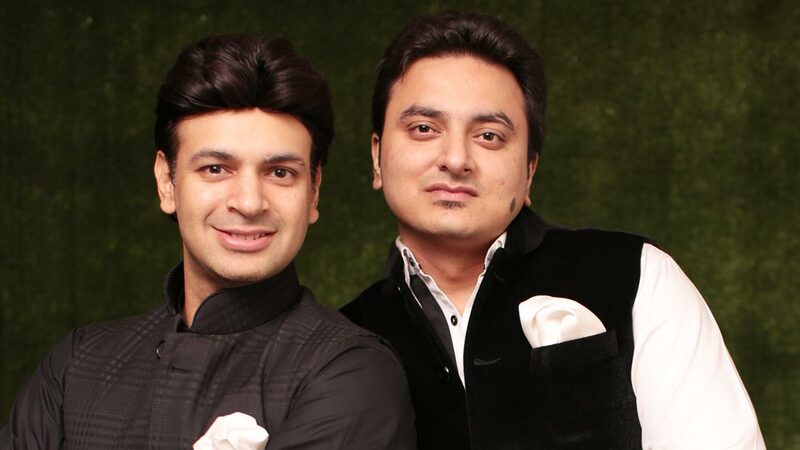 “We are smart and quick learners and that is how this all worked out for us,” shared the duo who in a matter of just 3 years managed to successfully open 5 restaurants- 3 outlets of Café Out of The Box (2 in Delhi- Khan Market and Rajouri Garden and 1 in Dehradun), 1 outlet of NH44 in Rajouri Garden, Delhi and 1 outlet of the 1st Parsi Restaurant in Dehradun by the name Ae Dikra. OTB has been a legendary brand that has created its own niche in the market for being in existence for 7 years. This casual dine-in café has become an everyday meet-up place for people from different walks of life that offer everything at one place at any time of the day. Although an everyday bar, OTB caters to people of all age group. During lunch hours, it is a place for people to have business meetings and a hangout spot for children after school and college; But by evening the same place turns into a chilling destination for working professionals to grab a drink or two. “We already have a wide menu serving more than 180 + dishes. Each dish is handpicked from the world over to satisfy each palate,” shared the proud restaurateurs. We think of the people and the locality when setting up a new outlet. We are generic and want to offer something for everyone. Based on the location, we maximize the geographical spread by making our brand a mass market product. We fill the gap in the existing market by opening the kind of restaurant which a space lacks. We cater to both- mass market and niche market. Café OTB caters to the masses and Ae Dikra caters to the niche. Running a brand in a particular market for more than 7 years and having loyal customer base gives an edge over others. Café Out of The Box is offering around 10 cuisines to chose from. The elaborate menu at Café Out of The Box boasts of 180+ dishes, something to suit every platter and a wide range of drinks, mocktails as well as cocktails. People with diverse tastes can come to a comfort zone with no ambiguity. “We at Cafe Out of the Box understood the gap in the market and came up with this concept of serving global cuisine in an all-day dining concept. These days there are concept based restaurants are opening up that specialize in specific cuisine because there is a higher cost involved in hiring more chefs, raw materials and maintaining high-quality standards,” added Bagga who believes that not everyone is willing to take the risk. We are carving a niche for ourselves by offering world cuisine under one roof with a relaxed and casual ambiance. Our menu offers 180+ dishes and a wide variety of mocktails and cocktails. Located in the most happening and artistically inclined neighborhoods, we have become the preferred choice for people who are looking to have a great time. We are proud to be the trendsetter for neighborhood café & bar with our iconic brand OTB offering world cuisine with trendy a place and music. With NH44, we aim to take a different route by serving a variety of Indian cuisines for the patrons. The idea is to offer something for everyone as per their taste buds. At Cafe OTB, we keep coming up with new festival menus from time to time every year which are inspired by the International festivals like Tomatina and various International cuisines. With such special menus, we promise to offer a delightful experience to our regular as well as new customers. The new age restaurants and bars that are offering food and beverages at very cheap prices will not sustain in the long run. When the food is offered at such rates, the food quality gets compromised. Though the margins are high in the hospitality business so is the risk. This business needs to be taken seriously to gain the trust of the patrons by offering good quality food and beverages and not just cheap discounts. There is a lot of scope and huge potential for the restaurant business to bloom in tier 2 and tier 3 cities of India. Dehradun was our next go-to location because there was a gap in the market for an everyday café and bar. Most of the outlets in Dehradun and also in most of tier 2 and tier 3 cities follow the old concept of serving one or two cuisines and limited working hours. Hence, we introduced Café Out of The Box which serves 10 cuisines and function for more than 12 hours. We have also recently opened a Parsi restaurant in Dehradun by the name Ae Dikra. It is the 1st Parsi restaurant in Uttarakhand. OTB plans to expand extensively over the years. We plan to open 25 restaurants in the next 3 years and ultimately 50 restaurants in 5 years, both- self-owned and franchise based. The expansion will take place in tier 2 and tier 3 cities as well. Seeing the scope of growth in tier 2 and tier 3 cities and due to the scarcity of a known and trusted brand, we plan to open up more outlets there to increase customer base. Out of the 25 restaurants targeted in 3 years, 20 % of the restaurants will be self-owned and the rest will be franchise owned. Therefore, we are looking at around 200 crores of revenue with the 50 outlets that we plan to open in 5 years. For this year we are targeting 3 new restaurants- one each in CP, Hauz Khas and Chandigarh. The demand for Skill & Employment based Edu.. Teaching and Learning with ICT..
Yeast Plays A Crucial Role in Winemaking..
5 Dessert Trend you Can't Miss in 2019..
Know More About the Online Tutoring Business..
How To Start A Stationery Biz In Chandigarh..
10 Clever Baking Hacks for Restaurants.. Mobile Apps Are Changing the Business..
Why Brand DNA is Important..
Globalisation Remains Key Essential In Food..
Technology Is the New Wave in Food Biz.. Enhancing The Business Learning Experience..
15 Most Commonly Used Franchise Terms..
Secret of Building a Legacy Brand..
3 Ways to create Mobile Traffic.. Put Forth Your Fashionistic-business Foot..